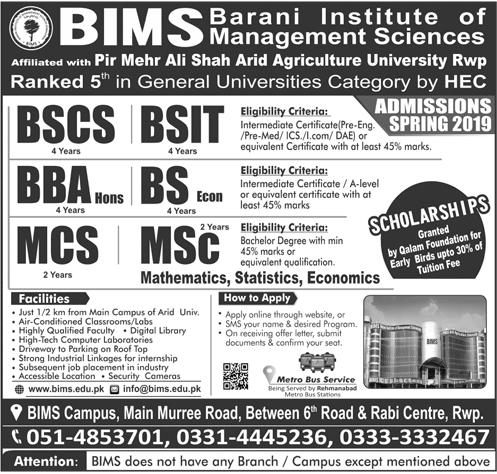 Rawalpindi, Barani Institute of Management Sciences Rawalpindi offers admissions in the bachelor and master degree programs and the students will find the detail of the BIMS Spring admissions 2019. The candidates can send their admission forms at their earliest and the students will have to appear for the written test and interview. The qualified candidates will be granted admission for BIMS admissions 2019 spring semester.